A 5-foot feminist dynamo with a soft heart and strong stomach who is passionate about making a difference in people’s lives. 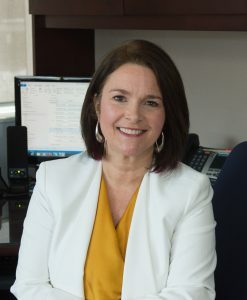 Linda Silas has been the President of the 200,000-strong Canadian Federation of Nurses Unions (CFNU) since 2003 and is the foremost advocate on behalf of nurses in Canada. 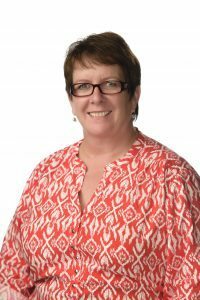 Linda has fine-tuned her skills as a union leader at the local, provincial, national and international levels over the course of two decades. Starting her tenure as a full-time labour activist as the single mom of a 13-month-old son has shaped Linda in a very distinctive way. Linda has earned a reputation for being a caring listener who is focused and solution-oriented in everything she does. Linda champions greater understanding and action on the social determinants of health and key policies that will enhance socio-economic equity, including a national pharmacare program and justice for Indigenous communities. Linda was previously the President of the New Brunswick Nurses Union (NBNU) for 10 years. Linda is a graduate of l’Université de Moncton, where she earned a Bachelor of Science in Nursing, and has practiced in the ICU, emergency, and labour and delivery. Pauline Worsfold has been an active member since 1981 when she volunteered to sit on her local’s Occupational Health & Safety Committee. This experience led to further involvement at the local level as ward representative, area representative and vice-president of the local for six years. She also held executive board position for six years with Staff Nurses’ Associations of Alberta (SNAA) and continued to participate in local committees. Pauline became president of SNAA in 1997. She led the SNAA amalgamation team to a successful unification of the two nursing unions in the province becoming the United Nurses of Alberta. She has served as transitional officer for two years assisting with the amalgamation process. At the same time, she participated in UNA internal committees including the legislative and political action committees. Astransitional officer, she continued to attend the Canadian Federation of Nurses Unions (CFNU) National Executive Board meetings as a National Officer and assisted with the process of UNA’s affiliation with the CFNU. In 1999, Pauline was elected Secretary-Treasurer of the CFNU. Pauline’s work on behalf of nurses has been rewarded. In 1993, she received the University Hospital Recognition Award for exemplary commitment, and in 1995, SNAA’s “We Celebrate You” Award for contributions to the community and the union. In 1998, she was honoured by the CFNU with the “Bread & Roses” Award for dedication to unionism at the provincial and national levels. Active in the community, Pauline has served as chairperson for SNAA’s “Run for the Rainbow”. This run raises funds for the Rainbow Society of Alberta who grants wishes to chronically and terminally ill children. Pauline is the mother of two sons, Colin and Jesse. In her spare time, along with her sons, Pauline enjoys driving stock cars and has achieved success in the sport. Pauline graduated in 1981 from the University Hospital School of Nursing in Edmonton, AB, where she worked as a staff nurse on a general surgery unit till 1986. She then worked as a staff nurse in the post-anaesthetic recovery room at the hospital from 1986 to 1997. From 2000 to present, she has worked as staff nurse for the post-anaesthetic recovery room at the University Hospital in Edmonton, AB. Pauline credits her coworkers for making her unit such an enjoyable place to work – kudos!